The human rights group Amnesty International has protested over Moldova’s arrest and deportation of seven Turkish school staff. Turkish media say Turkey’s intelligence service MIT was directly involved. The school – Liceul Orizont – is reported to be linked to the US-based Muslim cleric Fethullah Gulen, whom Turkey blames for the thwarted 2016 coup attempt against President Erdogan. On Facebook the school shows protests by the teachers’ colleagues and pupils. Azi dimineață la filiala Buiucani s-au adunat părinții, profesorii și personalul auxiliar pentru a susține colegii noștri care au fost reținuți ieri, 06.09.2018. President Recep Tayyip Erdogan has cracked down hard on alleged Gulen supporters, arresting or dismissing more than 100,000 public servants, and urging foreign governments to hand over suspects. The Orizont school’s director, Riza Dogan, was among those detained in Moldova. 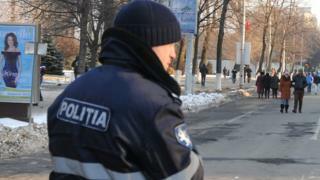 The Balkan Insight website reports that a 14-year-old schoolboy was also detained briefly. An Amnesty International director, Marie Struthers, said “we are deeply concerned about the fate of the seven detained Turkish nationals. In March, six Turks – five of them teachers at a Turkish college – were deported to Turkey from Kosovo. Mr Gulen funds a worldwide network of schools and was once an ally of Mr Erdogan. He denies any role in the coup bid by mutinous military officers, in which more than 250 people died. The Amnesty statement said the Orizont teachers had previously requested asylum in Moldova, claiming they would face persecution in Turkey. Forcible deportation of asylum seekers, Amnesty said, was a “flagrant violation of Moldova’s international human rights obligations”. Turkey’s Daily Sabah news said the suspects were expected to be tried in Turkey. The report, and one by Turkey’s Haber3.com news, say the suspects are being held by the MIT. In a statement, Moldova’s intelligence service SIS said it had “co-operated with the special services of other states” in the operation, describing the seven as “foreign citizens suspected of links with an Islamist group”. “When it was confirmed that they posed a risk to national security, it was decided that these persons should immediately leave the territory of Moldova,” the SIS said, without naming Turkey as the country involved.